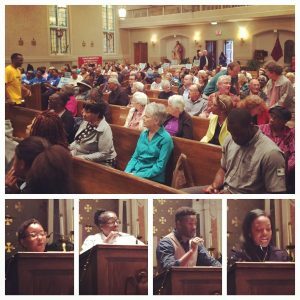 On Tuesday May 10th 2016 , over 200 people met to raise their voices for justice in Ward 6. 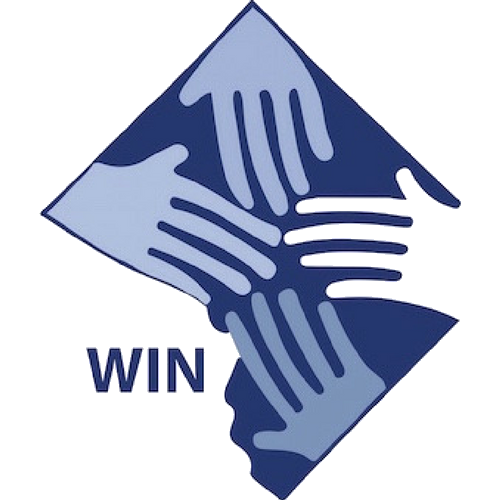 Topics such as the push to rebuild Temple Courts, student mental health services, and DC Circulator operator wages were discussed. Council member Charles Allen was present to listen to the residents of Ward 6 as they discussed the issues facing their community, and possibilities for addressing them. Allen committed to push for a compromise on the District emergency family housing plan and to vote by the end of May. He also pledged to push ahead to rebuild Temple Courts with the former residents. He also plans to set up a meeting between schools Chancellor Henderson and the Walker Jones family and faculty about student mental health services. Finally, he promised to support more money for the DC Circulator operator wages. Thanks to Michael Wilker for his photo and facebook post about the meeting. 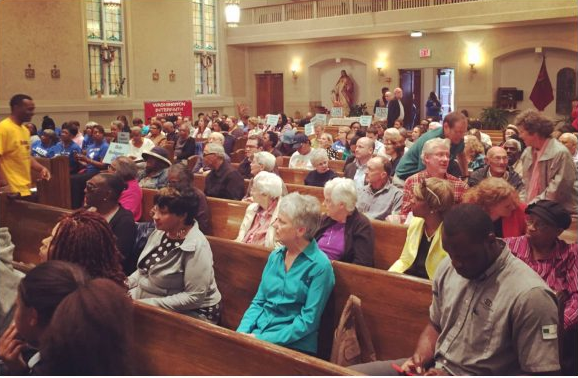 ⟵WIN held a 190+ person action with Wards 1 and 4 demanding commitments around affordable housing.